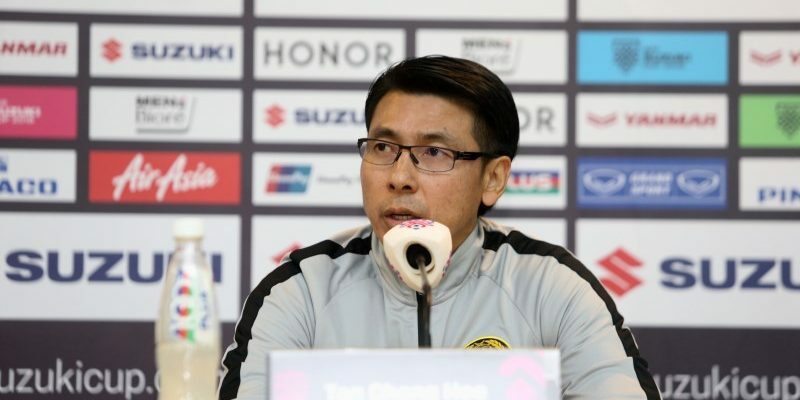 HANOI (14 Dec 2018) – Malaysian head coach Tan Cheng Hoe does not want his players to be burdened by expectations but instead to just focus on playing the game when they take on Vietnam tomorrow night. Malaysia will play Vietnam in the second leg finals of the AFF Suzuki Cup 2018 tomorrow at the My Dinh National Stadium, with them needing an outright win to ensure their second title in eight years. “The situation will be different from what it was in Kuala Lumpur. We just need to win this even by a single goal,” said Cheng Hoe. “The intensity of the game will be high, so the players need to focus. But they should not play under pressure. They should enjoy the final here in Hanoi. While the Malaysians showed character to come back from two goals down to draw Vietnam 2-2 in the first leg, the return of several stalwarts would give the team more confidence – especially for the backline. The team will have experienced defenders Aidil Zafuan Abdul Radzak and also Muhammad Syazwan Andik Mohd Ishak back in service alongside midfielder Mohd Syahmi Safari. “We will have all our best players back on duty and that should give us more confidence,” added Cheng Hoe.